Looking for an activity for kids on a snowy day? Try making these chocolate pinecones! They require very few ingredients and make a delicious and fun snack for kids of all ages. 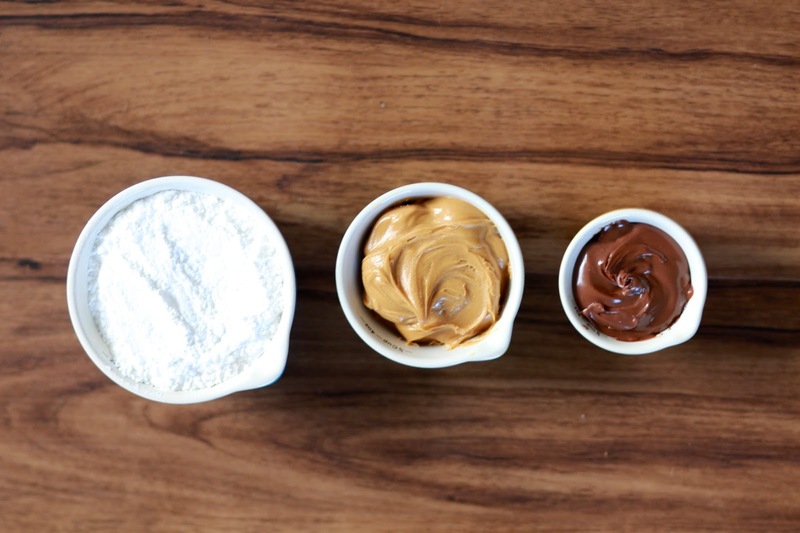 Mix the Nutella, peanut butter, butter and powered sugar in a medium mixing bowl. Take a pretzel and mold some of the mixture around the stick. Shape the mixture to make a cone shape. Next, start placing pieces of cereal into the peanut butter mixture in an even patter around the bottom of the stick. Stagger the cereal pieces as you move upward, until you get to the top of the pretzel stick. 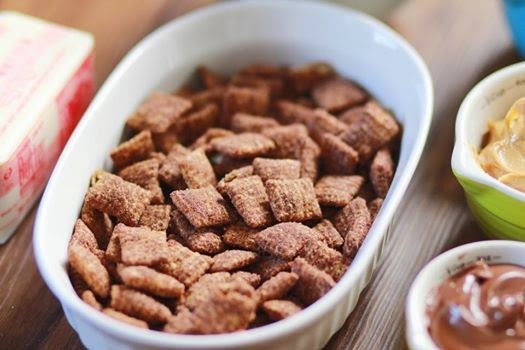 Cut cereal pieces into triangles and add to the top. If the pinecone is too tall, cut the top of the pretzel and cover with a small amount of peanut butter mixture. Lastly, sprinkle with powered sugar to give a "snowy" effect.